I’m not an herbalist. Nor have I been able to find a good practitioner who’s able to choose the right combination of plant-based medicines to heal my body. Unfortunately, with herbs, I’ve been pretty much on my own. it’s been a lot of trial and error. I’ve had to adopt a go-it-alone strategy, which is certainly not preferable. I really need to find an experienced herbalist. But, so far, no luck. Maybe it’s just a case of not looking hard enough. I don’t know. But I have managed to learn something. Certain herbs work better for different people. Some of us respond better to warming herbs. Others do better with plants that are considered cooling. However, cayenne is often used for pain relief. You’ll now find a variety of over-the-counter cayenne balms and muscle rubs. I think these cayenne formulas can work very well, for the right people. Apparently, I don’t fall into the category of people who do well with cayenne. However, that’s okay. Cooling remedies exist, and this is what eases my pain. At some point in the future, I want to find a good herbalist. Until then, I’m left to experiment. What I do now is pretty much stay away from the really hot herbs, such as cayenne, black pepper and ginger. What works for me is is tulsi and ashwagandha. These are considered to be adaptogens, a category of herbs believed to help with chronic stress. So these are the remedies I take for pain. I also use essential oils for natural pain control. My current blend is sold by Nature’s Fusions. It’s a cooling blend called Cooling Waters Anti-Inflammatory Blend. I don’t know what I would have done without it, during a recent bout of TMJ. However, at the same time, I realize we’re all different. Cayenne will likely work very well for certain people. If you don’t have a good herbalist (and I wish I knew one), you need to get to know your body. If a certain remedy makes you feel worse, or it does nothing for you, it’s probably a good idea to stop taking it. So if you suffer from any type of chronic pain, cayenne pepper is probably worth a try. I think it’s never a bad idea to try natural, drug-free remedies that won’t have side effects. It’s either going to help you or it’s not. If it doesn’t help, you can pass it along this natural remedy to someone else, who might benefit. Obviously, cayenne pepper can help some people. Otherwise it wouldn’t be such a popular ingredient in both ready-to-use and DIY pain relief blends. I have a busy Facebook page just for people with fibromyalgia, where we often discuss natural pain remedies. I often tell people not to get discouraged if a particular remedy doesn’t work for them. That’s because we’re all so different. Fortunately, there are so many natural remedies to choose from. Even though cayenne is not my remedy, I’ve been able to find so many others that do work. Today, more than a decade after being stricken with crippling nerve pain, I can walk again. Pain is now minimal and life is pretty much back to normal. So if one thing doesn’t work, another very well might bring relief. It’s all a matter of finding out what works best for you. If you’d like to learn what works for me, I’ve created an online course with more than two dozen instructional videos, as well as text modules. Here’s to your healing. Click on the link below for more information. The good thing about natural remedies is that there are so many of them. There are countless plants and homeopathic remedies that can make you feel better. So, if something doesn’t work for you, it’s time to move on. Sometimes things work really great for awhile (at least that’s what happens with me) and then they just stop working. I don’t stress over this. Instead, I put it aside. Then I use another remedy. 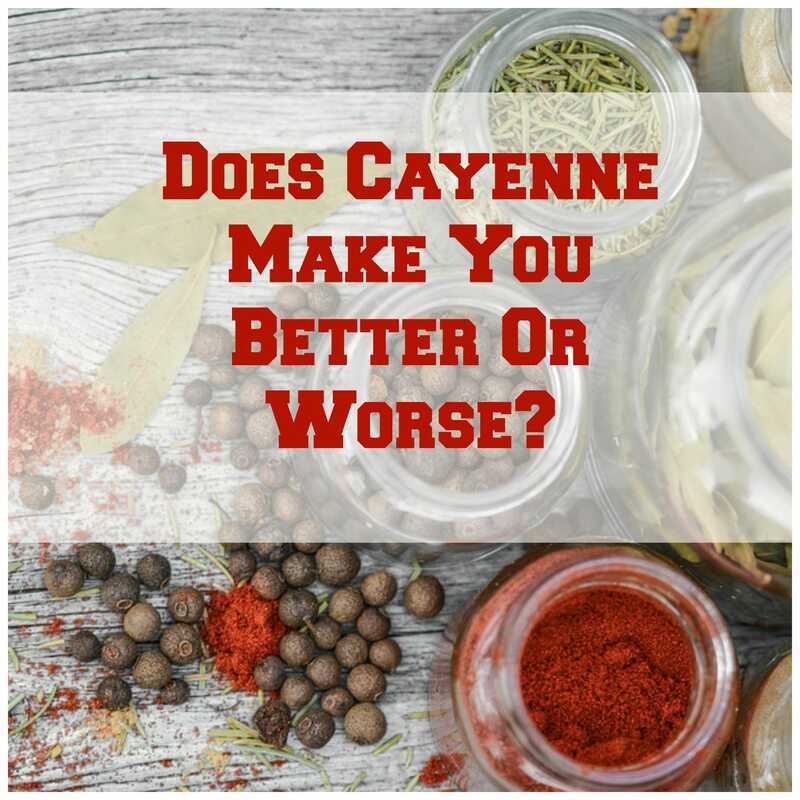 For the right people, cayenne is a great pain reliever. But not for everyone.